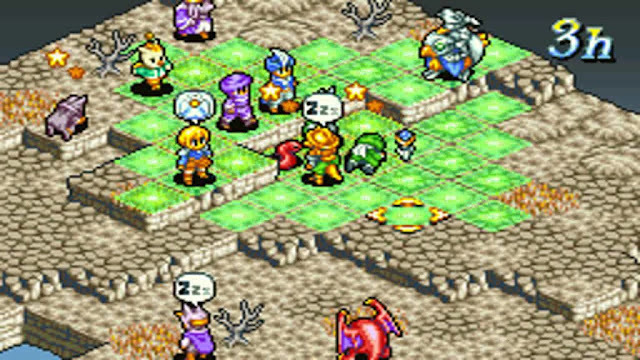 Home > Tactics RPG > Retro reflections: Where the hell is a new Final Fantasy Tactics, Square Enix? 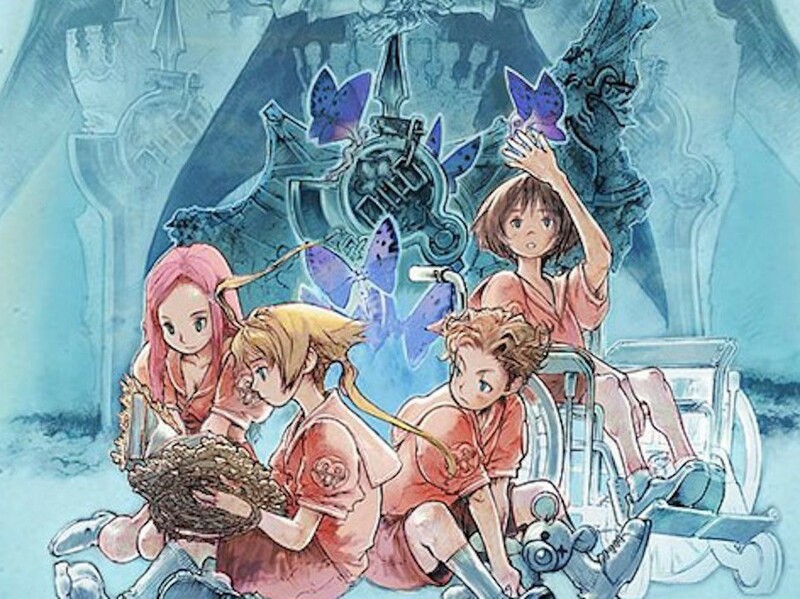 Retro reflections: Where the hell is a new Final Fantasy Tactics, Square Enix? The last couple of months has brought us a pretty substantial influx of tactics RPGs. On the Nintendo Switch there was the excellent port of the excellent Disgaea 5, the 3DS got a remake of one of the early Fire Emblems in Fire Emblem Echoes, and then on the PlayStation 4 there was the beautifully classical God Wars and the beautiful visual novel/ tactics JRPG mix in Utawarerumono. For a genre that many consider to be in decline, it’s been a pretty good couple of months, and it got to me thinking… where the heck is a new Final Fantasy Tactics? Final Fantasy Tactics on the PlayStation was the game often credited with establishing the tactics JRPG formula, but the one I played with a burning obsession was Final Fantasy Tactics Advance on the Game Boy Advance. As the first handheld console that could do really complex JRPGs that aren't Pokemon, Final Fantasy Tactics Advance was a 100+ hour game that really did kill my productivity for a couple of weeks after first playing it. First released in 2003, it also was set in the same world as Final Fantasy XII, and gave us all a good taste of the kind of aesthetics and world to expect in the lead up to the release of the big game itself (and the occasional little reference back to the game in FFXII was most welcome then, too). The game was structured a little like the classic film, The Neverending Story. A group of kids read a book together, and magically get transported into a world of magic and fantasy, and one of them decides he likes it there so much that he doesn’t want to return to the real world. Cue dramatic tension and conflict. For the rest of the game your goal is to recruit up a band of mercenaries and tackle a wide range of missions, while also fighting with other bands of mercenaries, while working towards, ultimately, escaping back home. It was the sheer variety that first got me hooked on Final Fantasy Tactics Advance. There were a half dozen different races to build your mercenary band with, and those races were all adept at different jobs within the dozens of options. As someone who likes quirky stuff I loved the idea of little Moogle knights and Moogle summoners and… Moogles in general, really. In each of those jobs there were what felt like an endless stream of skills to learn, and because learning skills was tied to using specific items in combat, I’d find myself often grinding away using weaker equipment in order to try and acquire a skills for my characters (once ‘mastered’ after a set number of battles, a different piece of equipment could be put on the character and they’d still have access to the skill). While this might sound dull, managing the skills development of 20 - or more - characters was a hugely entertaining process, and was every bit as deep as it sounded. It’s also one of those rare games about “running a mercenary company” where you really felt that you were managing one. You’d need to send characters out on away missions, and they’d be unavailable to you for combat for a period of time. There were rival factions to battle over turf. While the bulk of the game was all about the traditional grid-based, turn-based action, there was a management element outside of the combat that helped layer the experience. The art was also quite beautiful, being both colourful and charming. There were dozens of different maps to battle over, and a huge variety in enemies. Each job would look different on each character, too, so your own forces would quickly develop into a rich tapestry of ultra-cute costumes and design. 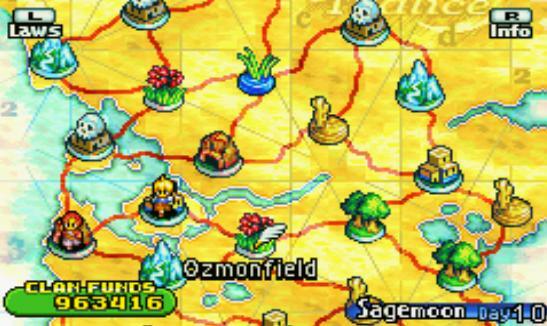 To this day, Final Fantasy Tactics Advance looks delightful - you can grab it on the Nintendo Wii U as a virtual console game if you’re so inclined to check for yourself. There was a sequel, which wasn’t much more of a re-read of the original game, released on the Nintendo DS, and then nothing since. There hasn’t been a new Final Fantasy Tactics game on a home console since the original on the PlayStation, and not a whiff of a new Final Fantasy Tactics on the Nintendo 3DS or Switch, let along the Vita (or even mobile). And this confuses me. This is, generally speaking, a series that is revered, and as far as I can tell, sells well whenever Square Enix rolls one of the older ones out to a new device. With Fire Emblem proving that there’s still legs in the tactics genre for the mainstream, and the other, more niche tactics JRPGs demonstrating that there’s still plenty of interesting stuff that can be done with the genre, you’d think that Square Enix would see a new Final Fantasy Tactics as an easy opportunity. I hope there’s another down the track somewhere, because as good as the other tactics RPGs have been over the years, Final Fantasy Tactics Advance has hooked me to a depth quite unlike what the others have done. The Final Fantasy tradition, coupled with deep character customisation, and the ability to develop an entire stable of them, is a timeless recipe for success.